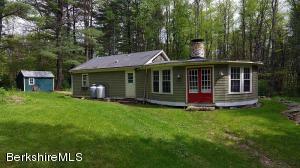 EXTREMELY MOTIVATED SELLERS - Great little hidden in the woods cottage. Very cool circular great room/kitchen. Stone fireplace with a propane gas stove. Centrally located to all the local attractions. 1.5 Acres. Neat as a pin and set back from a sleepy and scenic country road with a magnificent barn for all of your outdoor needs or to transform into an artist studio, office, yoga space, or extra living space. 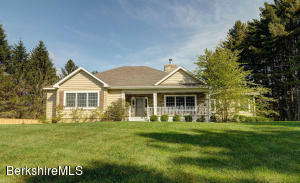 There is also a beautiful screened-in porch for entertaining and a first floor master bedroom. 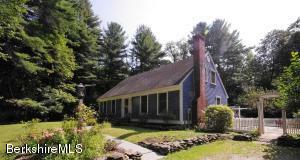 The location is perfect and minutes to downtown Great Barrington, Stockbridge, and West Stockbridge. 10 Minutes to Tanglewood, Kripalu, Canyon Ranch and all of Berkshire Counties world class attractions. Best of all, low taxes in this lovely town. Elementary School Muddy Brook Reg. CONDO PRICE SIGNIFICANTLY LOWERED FOR IMMEDIATE SALE! BEAUTIFUL COPPER BEECH TOWNHOUSE CONDO. Walk to all downtown has to offer, Triplex Movie Theatre, shopping, coffee, restaurants. 3 BEDROOM, 2.5 BATH TOWNHOUSE WITH A FIRST FLOOR MASTER SUITE. WALK TO TOWN Open Living, Dining, Kitchen with french doors to a private back porch. Custom cabinets, gas fireplace. 2 BDRMS UP and a Large Loft-Library and full bath, attached garage, large basement for storage or gym. This beautiful unit has a first floor master, wood floors, it is air conditioned, efficient natural gas heating plus a partially finished lower level. Inground swimming pool. Top of the line Log Home. 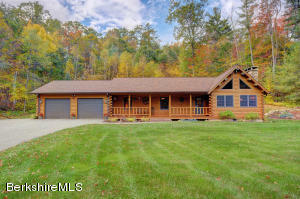 Spacious open plan living with cathedral ceilings, a screened porch and radiant heat throughout. A brand new propane fired furnace, on-demand hot water heater and a generator are just a few of the features to enjoy. One level living with a master suite and two guest bedrooms. Even the two car garage has radiant heat. Set well back from the road for total privacy. Two miles to Ski Butternut, near Lake Garfield and Benedict Pond for swimming and boating. See documents for special features and a map. 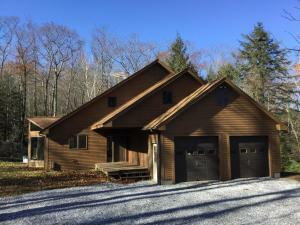 Private Great Barrington Cape with wonderful extras. Brand new kitchen with custom cabinetry, stainless steel appliances and a large center island. This sunny kitchen opens to a dining area and a large deck for grilling and a stone patio for enjoying outdoor dining under the apple tree. A living room with a wood fireplace adds to the warmth of the home. Two first floor bedrooms make this convenient if you don't like stairs. The first floor bathroom is spacious and becomes private for the back bedroom if need arises. The back bedroom even has a sunroom to enjoy your morning coffee. Upstairs is a large bedroom and a den. The second floor bath has a footed tub and a tile shower. Gleaming wood floors throughout the whole house complete the allure. There is also a large heated barn. 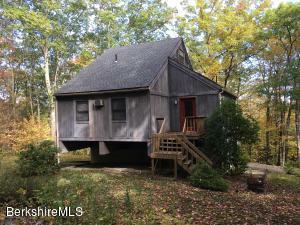 Escape to the Berkshires in this wonderful spacious 3 bedroom home. A beautiful quiet lot surrounded by lush greenery, that turns into a splendor of color in the Fall. 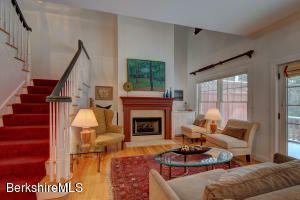 (see pics)The open main floor is perfect for entertaining. It opens all around to a huge outdoor deck, with private screen porch area. The first floor has two master bedrooms with private baths. Upstairs has another bedroom and full bath with a bonus mezzanine that could be used for additional sleeping, office, or studio.The lower lever is finished with game room, office and half bath. You will be delighted with the homes close proximity to everything the Berkshires has to offer. Tanglewood, Butternut, Lee shopping, Great Barrington dining, Lenox leisure, Kripalu. Lakes in every direction. 5 minutes off route 90. This house has never been on the market before. The home was so meticulously put together by a skilled craftsmen for himself. It is a generous size on a generous lot as well. Surrounded by wild mountain laurels in every direction. The first floor has a large kitchen which opens up to light and airy dining room. The living room opens out onto the back deck.A bedroom and full bath, laundry room and Jacuzzi are found on first level.Upstairs has a master bedroom & bath, and a second bedroom. The third larger bedroom could be used as a Nursury? Studio? Upstairs game room?The house has a giant basement with a walk out, and an overhead garage door to accommodate your recreational vehicles. Has a 2 car garage is insulated with plenty of extra space. Act now!